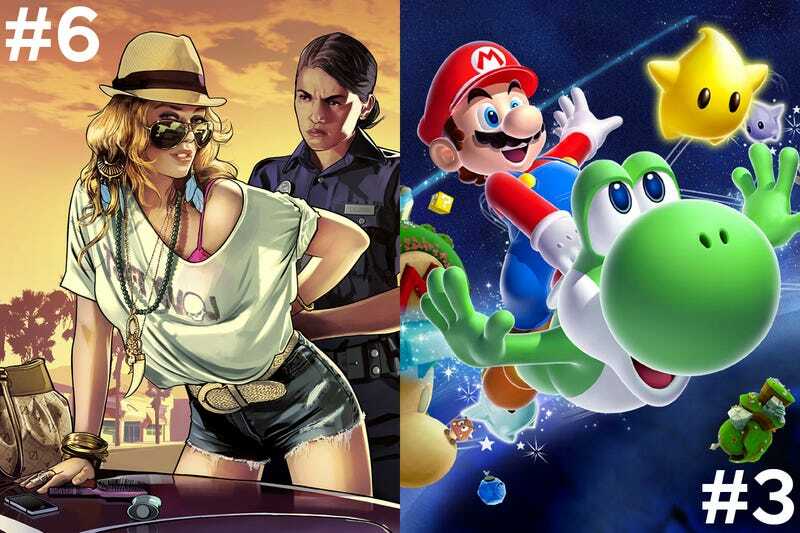 Will GTAV Upset the Nintendo Triad of Critical Acclaim? It's no secret that the newest Grand Theft Auto is being hailed as a masterpiece. The game isn't even in the hands of the average gamer, but critics have been overwhelmingly positive about the newest open-world game from Rockstar North. Though some feel rating games with a score is the wrong way to go about a review, it's a practice that has been in place for decades. Gaming site GameRankings.com keeps track of just about every meaningful numerical review of the last 20 some years within it's databanks and the "All System" list is chalked full of classic after classic. Atop this list sits the Nintendo triad. Three Nintendo titles that have garnered the highest accumulated scores in gaming history. They are well known and well loved, though many dispute if they are in fact the greatest games of all time (which is of course an opinion). These titles, Super Mario Galaxy, Ocarina of Time, and Super Mario Galaxy 2, are rarely challenged by other titles. The closest game on the list, GTA IV, is only .26% away from over taking SMG2, but chances are it never will. The newest title in the GTA family has a shot though, a chance to break into the top three and knock a Nintendo title from the triad. Only time will tell, but with GTAV already sitting in 6th place and a load of reviews to add in we may see a third party title take back the number three or number two spot. Could it beomce the best rated game of all time? We'll have to find out. Do you think GTAV will become one to of the three best rated titles of all time?